Those who have read my Why You Should Consider Starting a Blog will know that there's probably nothing too personal for me not to write about online. The irony is I feel a lot better a day after, though I nearly always spend the night thinking if it was right. When you are 16 you worry about what everyone is thinking about you; when you are 40 you don't care what anyone is thinking about you; and when you are 70 you find out that no one has been thinking about you. When you are 80 your fond memories will be the risks and challenges you took up. So, to today's post -- How I found the right part-time business and how I'm growing it. It all began with my first job. It was a great company, a dream company. But has time elapsed, I began looking at my senior colleagues and it no longer became a dream company. The company is so well structured that the best your talent and resourcefulness can do is to make you just very comfortable. It's not going to make your boss assign you a challenging project outside your scope of work. Your talent and resourcefulness is not going to make any much good for you. You will only piss others off and look too ambitious. So, right in my fourth month on the job I began my first part-time job. I got a professional to make me a business card; I called myself a Venture Capitalist. I was earning more money than I knew what to do with it, and I loathe saving; I decided to look for university students and recent graduates who were building some kind of startup or cool project. I would become an angel investor and give them fund in exchange for a share in the project's future (boom or doom). Then I began reading about how VCs (Venture Capitalists) operate and how to drill through business proposals. I read lots of books on startups. Then I contacted the most innovative chap I knew in FUTA, he was about graduating. We went back and forth on his business proposals, and I'm still watching him. Then 6 months into the job, I got downsized. Fortunately, I got another job in less than 2 months. It was a miracle. I had less than a year working experience and I got a new relevant job in just 2 months. It was pure luck. But like they said about Abraham Lincoln's face on the cent -- Once you've got shot before, you can never get over it. So, I put aside my VC business cards. I'm now the one in need of an angel investor. I began looking for business ideas, ones that won't require capital to start and that can be run at weekends. I got a paper and pen, and wrote all my skills they were monetizable. In the end, Mathematics private tutoring was the only idea I could do on weekends without initial capital. I called a very good graphics friend and told him to make me colourful and very thick business cards -- ones that will stand out and even get picked off the floor. He did an excellent job, even our church chaplain loved the card and kept looking at it. I got some prospective clients. The issues were I was expensive (and the card made that very pronounced) and the clients were scattered round Lagos. I was able to convince some that I was worth the price. 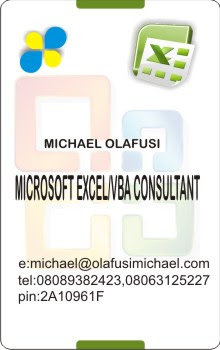 But as I was swamping VI with my biz cards, I came upon another biz idea -- MS Excel consultancy. I called up my friend again and requested for another business cards, more than double the last ones' quantity (I was yet to even use up to half of that). This time, I knew I was onto the real one -- the perfect part-time biz. So, that was how I found the right part-time biz. How I'm I growing it? I share my business cards at events. I talk to people about what I do part-time and not what I do fulltime. 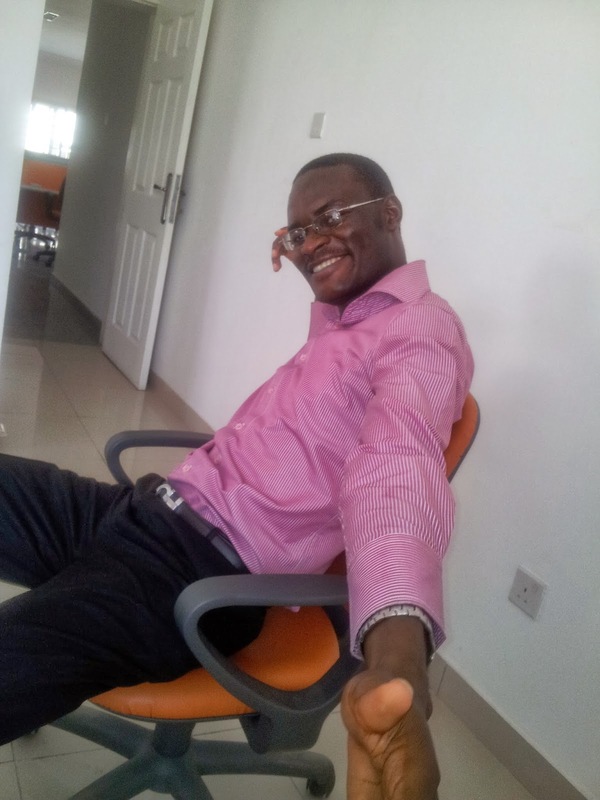 I got myself listed on Vconnect, OLX, Alibaba, and several other business directories. I blog about it. And I created special pages to make me highly visible online. It's not spectacular yet, and I'm not bothered. All I want is to be extremely good at it and make sure the entire world knows.